Old style horse box trailers are an ideal, small and lightweight trailer to start a catering business. These trailers look great at events and can also give your catering business a quirky appeal. They offer good head height, creating an airy feel and the internal area can be designed or modified to create the most efficient and practical use of space that will also look great and work best for you. We can undertake any bespoke designs that you have in mind and even offer a re-design service prior to commencing a horse box conversion. Although we can work with absolutely any size trailer, we have created a standard size specification that works best with the space available in a horse box trailer. All of the items listed below are included in any full specification package and we also offer these items. We pride ourselves on offering our customers a personalised design service to meet specific needs and also offer internal and external light fitting. Other individual items can be sourced and or fitted as requested. We can provide the horse box trailer as part of a completed package, which will involve building the trailer from a base trailer to your specific specifications. At Fastlane Autocare, we have designed and rebuilt numerous catering conversions from these types of trailers and have also created bars, Prosecco bars, and even hot dog stalls. All of our trailer conversions can be tailor-made to your particular, individual needs for you and your business. Due to our fully equipped workshop and our team of dedicated staff, we are able to offer a ready to go service, where a trailer conversion can be designed and built ready to go. This also includes any sign-writing as requested, with the exterior painted in a colour of your choice with a generator! Please don't hesitate to contact a member of the Fastlane Autocare team to discuss your horse box conversion and rebuild needs. If you have bought your own horse box trailer and require immediate assistance, we can help you get things moving! We can help with the installation of parts, including building serving hatches or installing a pre-purchased serving hatch installation. These ideas are based on projects we have already undertaken for many of our customers with great results. if you have any of your own ideas, we can happily incorporate these into your horsebox conversion. We are also able to service and repair Ice cream machines and doughnut machines in any catering trailer, van or mobile cafe. We have branches all over the North West area. Each branch is equipped to deal with any conversions you may be interested in. 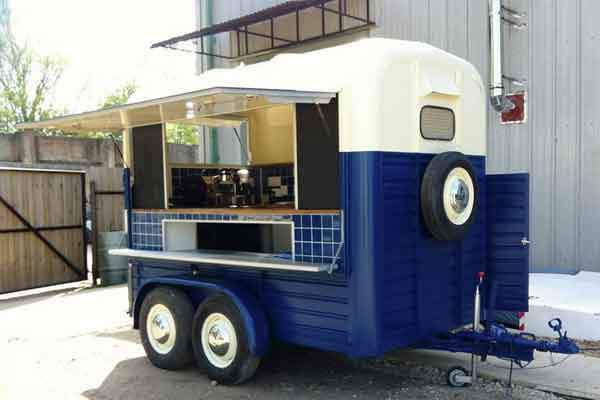 Whether it be a horse box conversion, an old style caravan rebuild and redesign that you wish to make into a mobile cafe or any other ideas you have, we are always happy to help you put your ideas into reality and achieve your desired idea! We have our main branches in Blackpool, Mold, Stockport, Congleton, Trafford, Manchester, Liverpool, Southport, Runcorn, Atherton, Wirral, Chester, Lymm, Cheshire, Radcliffe, Helsby, Leyland, Oldham, Queensferry, Skelmersdale, Swinton, Trafford, Walkden, Deeside, Denton, Hale, Chorley, Bury, Bolton, Warrington, Wigan and Widnes. Also, with our fully equipped mobile workshops, we are confident that we can cover any location in the whole of the North West area! So if you are looking for a quality and bespoke redesign and rebuild service, here at Fastlane Autocare, we're ready to help!